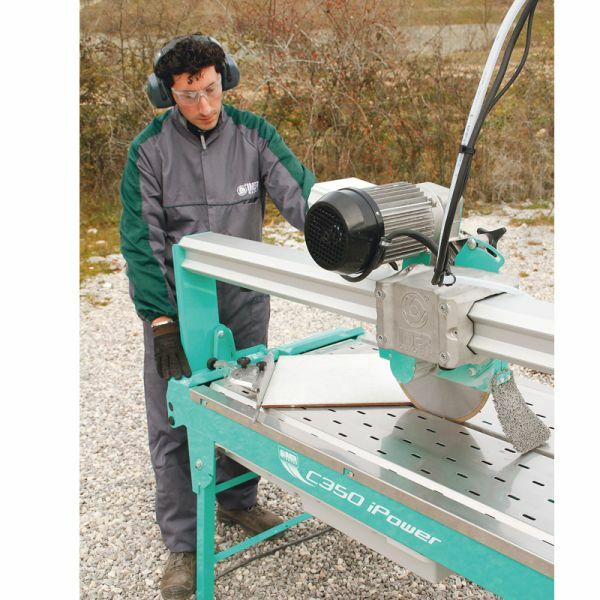 High power saw for cutting marble, bricks and stone. 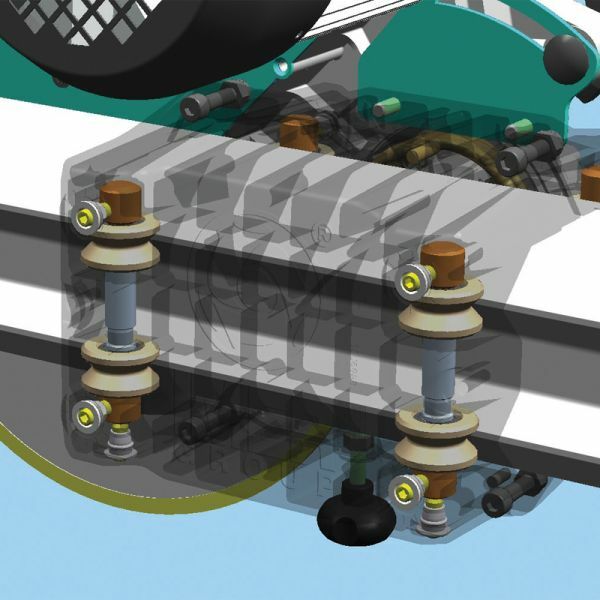 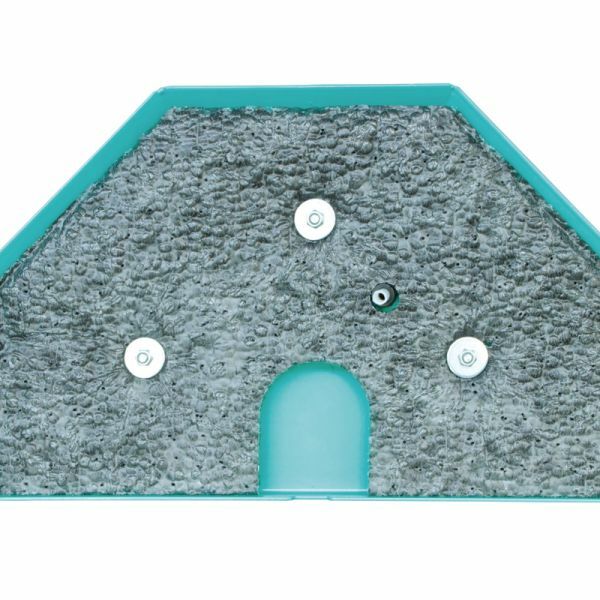 It is designed both for building sites and for the installer. 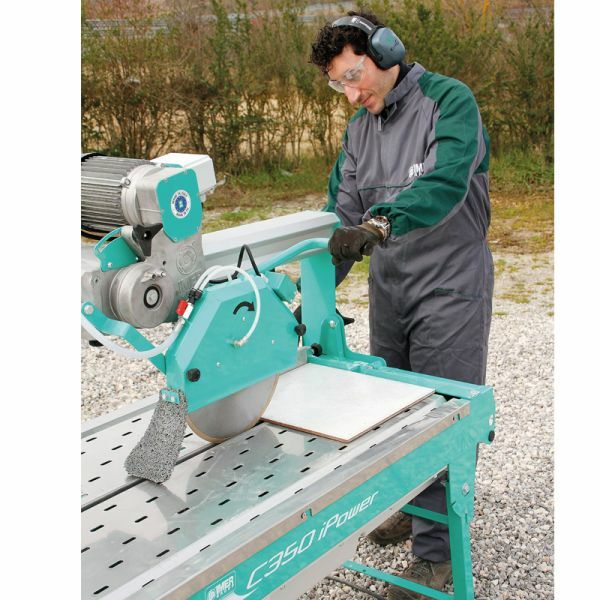 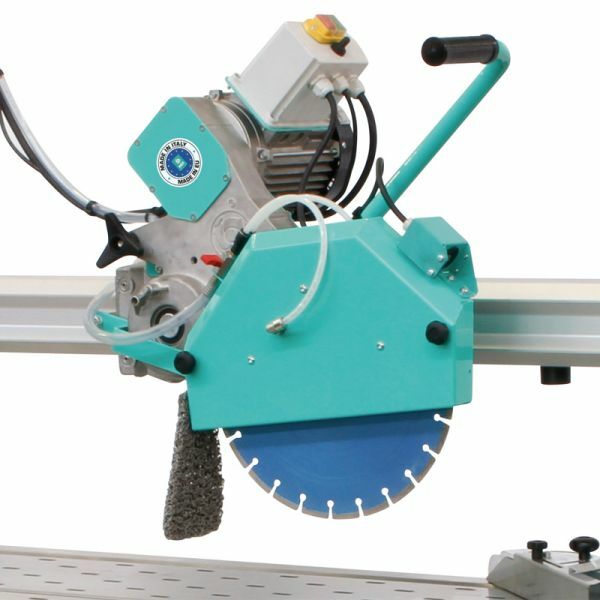 It allows installer to cut tiles up to 1200 mm length with plunge cutting. 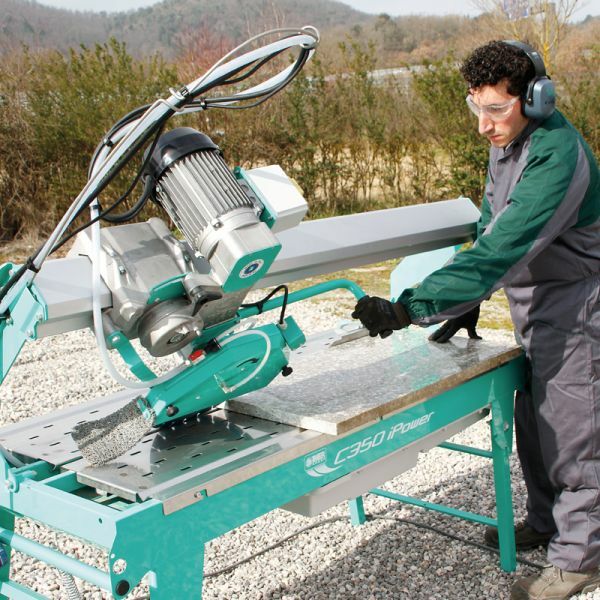 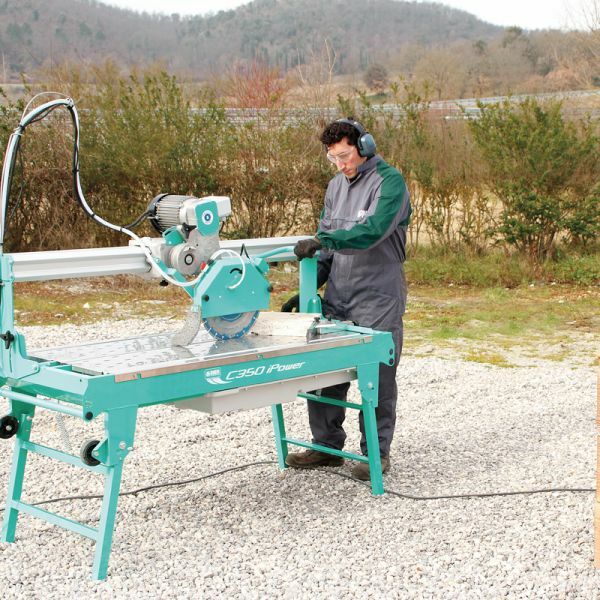 The C350iPower can be also used in building sites to cut blocks up to 250 mm height with two passes. 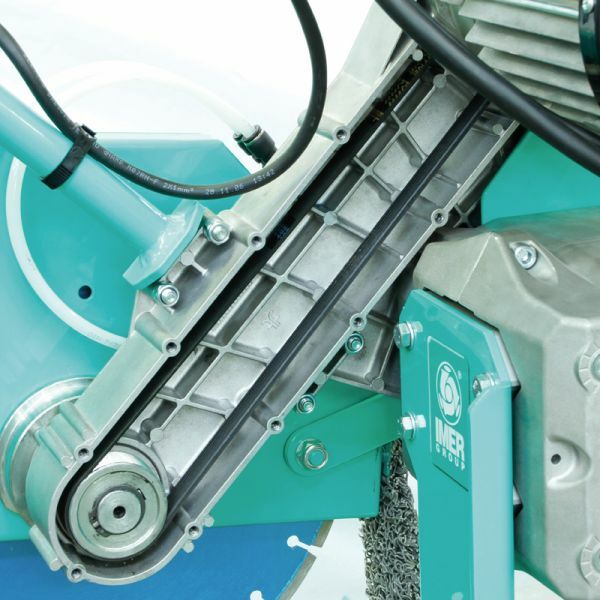 The tilting cutting head allows for high speed in performing special cuts (45° bevel cut without optional cutting accessories).